To help improve the browsing experience of users, Lavaredo Ultra Trail installs some cookies on the users’ computer. The present Policy describes different types of cookies that can be used on the site owned by Camelbag ASD (hereinafter referred to as “Site”), and is subject to change. Any changes to this Policy shall enter into force with the publication of the same on the Site. 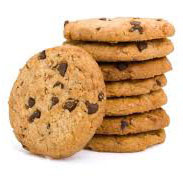 Cookies are text files stored by computer or mobile device, when you visit a website. They are commonly used to run websites or, to be more precise, run them more efficiently, to record user data that will be used to facilitate future use of the site by the user. Statistical analysis Cookies: these cookies collect information during the use of the Site, allowing us to improve its functioning, and obtain some static data such as: most visited pages, daily access, monthly access, etc. This information is useful to understand how the Site is used and not paying attention to the activities of an individual user. This Site uses Google Analytics, a web service for analysis of statistics provided by a third company (Google). The information generated by the cookie is transmitted from the browser to Google and stored on servers in the United States and other countries. Google will process this information in order to evaluate your use of this Site. The IP address obtained by Google Analytics will not be associated with other data held by Google. You can choose to disable or block Google cookies by selecting the appropriate settings on your browser. Functional cookies are used to remember the settings chosen by the user in their last visit. They serve to provide a more comprehensive service to improve the visit and user experience on the Site. Cookies in this category include both persistent cookies and session cookies. What happens to the third-party cookies? The Site may contain direct links to websites of third parties which may apply a Policy on Cookies different from that adopted by this Site. Since we do not control any of the third party cookies used for these purposes, please consult the website of the third party to clarify what practices and related control systems are applied before clicking the link on the Site. You can reject, accept or remove the cookies from the Site at any time by activating the settings or accessing the browser. How are the IP addresses stored? An IP address is a number that uniquely identifies any device that has Internet access. The web servers automatically collect IP addresses to administer the site, and these are used in combination with cookies to “memorise” the computer and other devices used to access the Site. Your message has been successfully sent. Thank you.